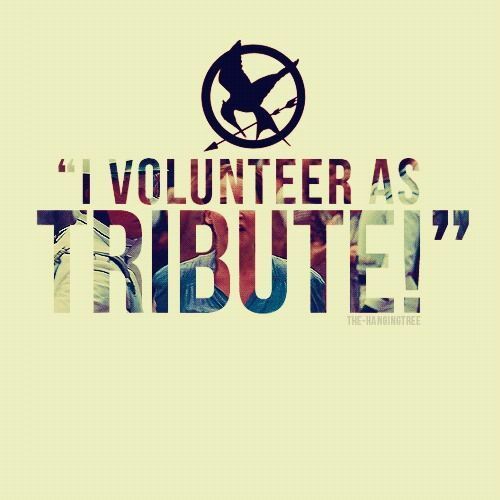 Katniss: "I Volunteer as Tribute!". Katniss's Quote :). Wallpaper and background images in the 헝거 게임 club tagged: the hunger games characters katniss everdeen katniss everdeen quote movie fan art.